Along with the A5000 and S90, Lenovo also announced the P70 - a thin and ultralight smartphone that's packed with 4000mAh battery capacity. Aside from its long lasting battery, the handset also features an efficient power-saving software and a Quick Charge Feature which allows users to fully charge the phone in just 3 hours. In addition to that, you can charge other devices using the Lenovo P70 with the use of USB On-the-Go. 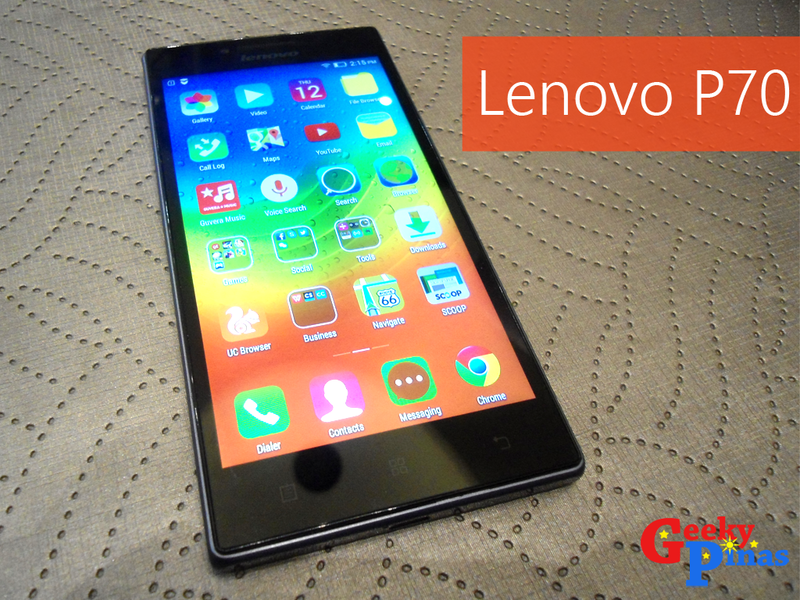 Lenovo P70 is powered by a 64-bit 1.7GHz MediaTek 4G LTE True8Core processor paired with 2GB of RAM. It sports 5-inch display, 13MP and 5MP dual cameras which deliver sharp and crisp photos. The handset has a slim profile at 8.9mm and weighs 149 grams. The Lenovo P70 will be available in the Philippines in April and will retail at Php 11,999.